The genesis of the word “swashbuckler” had its start with this movie. Douglas Fairbanks was the original “adventurer”, and he performed most of the stunts in his films himself. He was an excellent athlete and used his physical abilities to his best advantage. 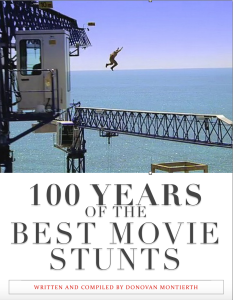 However, there were instances when a stuntman was used (as proved by outtakes from The Gaucho (1927)), as these types of stunts were deemed too risky for the star. 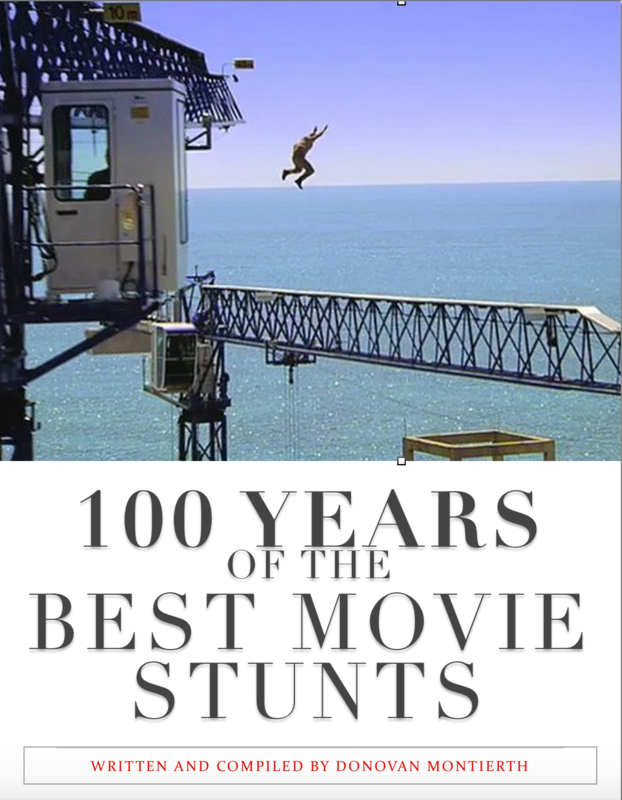 Fairbanks’ prodigious athletic prowess and tremendous enthusiasm made this movie a great success, leading to a whole series of similar swashbuckler roles for Fairbanks, including The Three Musketeers (1921), Robin Hood (1922) and The Thief of Bagdad (1924). 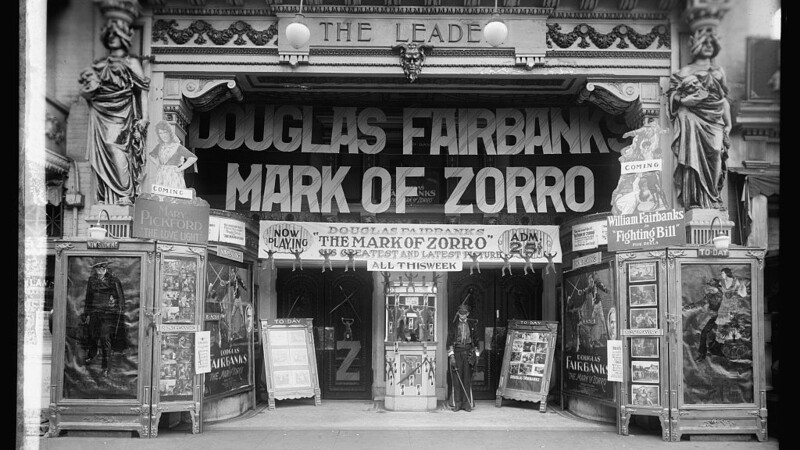 Fairbanks’ astonishing acrobatics amaze even modern audiences, particularly in the climax of The Mark of Zorro. A sequel, Don Q, Son of Zorro, with Fairbanks reprising his role as Don Diego and also playing Don Diego’s son, Don Cesar de la Vega, was released in 1925. Interesting to note, Fencing master and graduate of the Military Institute of Physical Education and Fencing (Belgium), Fred Cavens was responsible for bringing style and technique to the duels in Hollywood films. His first work on a Hollywood film was in this movie and he became a Hollywood staple throughout the 20’s, 30’s, 40’s and 50’s. He did a lot of the fighting in this film as well as train Douglas Fairbanks to play Zorro. He also went on to train Guy Williams, Errol Flynn and Tyrone Power. 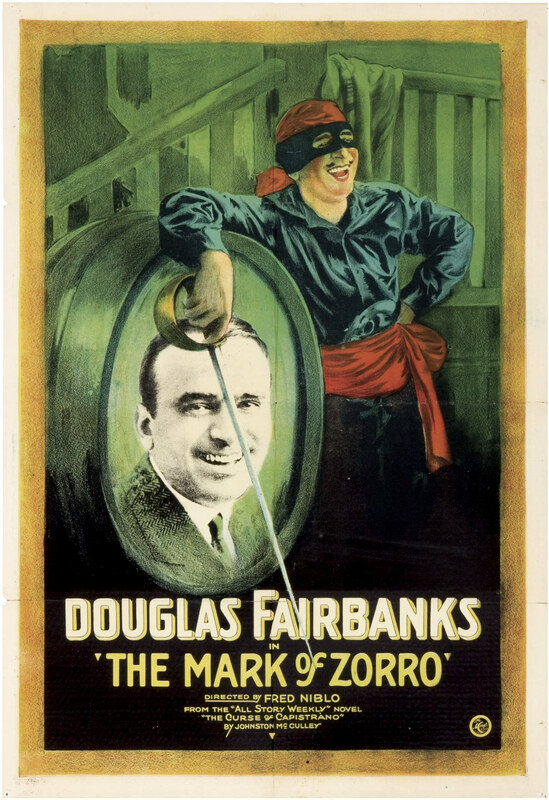 The Mark of Zorro was directed by Fred Niblo for Douglas Fairbanks Pictures Corporation, released by United Artists and features Douglas Fairbanks as Zorro. 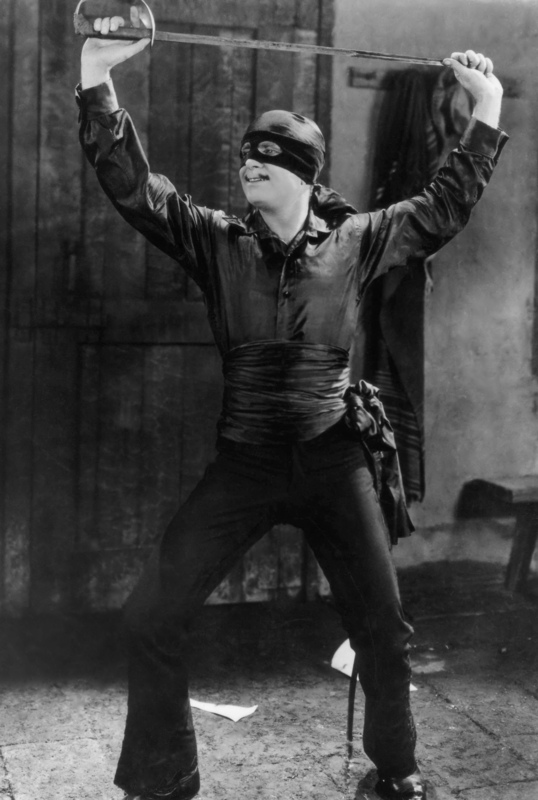 The Zorro costume of black clothes, black mask, and round black hat that audiences know today was introduced in this film rather than in the original short story, and McCulley dressed Zorro in that outfit in his many subsequent Zorro stories in imitation of Fairbanks’ fantastically popular film. Also, Fairbanks’ acting exerted a tremendous influence upon later actor Burt Lancaster, as Lancaster frequently mentioned, and modern audiences can’t help but note this in Fairbanks’ first scene as Zorro, in which a surreally huge smile is accentuated. I also think it’s very interesting to mention that not only was Douglas Fairbanks the physical basis for both Superman and Batman, this film was also the movie that Bruce Wayne and his parents went to see when they were killed in the alley, as mentioned in comic book history of the Golden Age. Swashbuckler – Swashbuckler(a.k.a. swasher) is a term that emerged in the 16th centuryand has been used for rough, noisy and boastful swordsmen ever since. A possible explanation for this term is that it derives from a fighting style using a side-sword with a buckler in the off-hand, which was applied with much “swashing and making a noise on the buckler”. 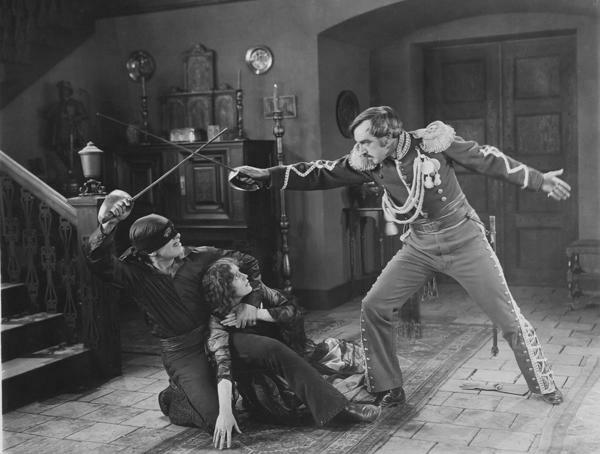 Later the name “swashbuckler” (like Gunslinger) became common for an archetype and the accordant special film genre.